The farm was very small, with just 10 milk cows, managed by the father. Six daughters were born and two of them, Sonia, the eldest, and Mara, began to lead the farm together with their respective husbands. 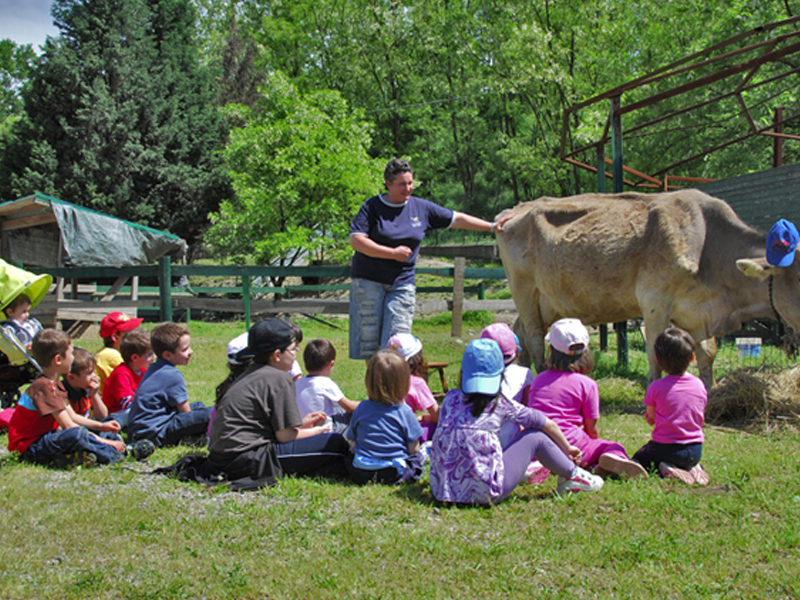 The cows are now 150 and didactic courses for young students are organized under the national program “Scuola in Fattoria” (“School farm”) with 1,500 children and youngsters yearly participating. Mara had since she was young consciousness to become the farm leader, together with her sister Sonia, a challenge traditionally owing to males. Small dairy farm (10) and small vineyard (2 hectares) with low farming income. Modernization of previous buildings and new barns. After delusion from quantity increasing, not covering increased costs, the choice was quality and on farm processing. 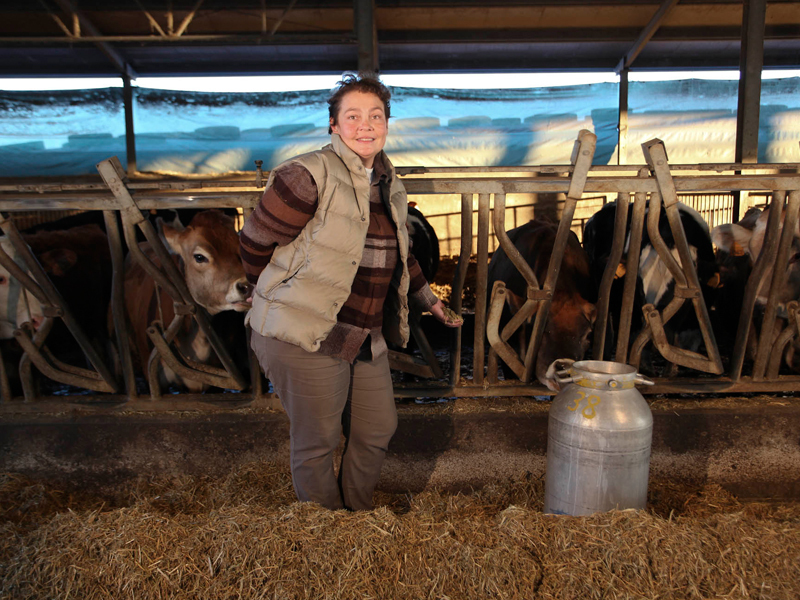 150 milk cows for high quality dairy production, 80% milk sold externally to Cooperativa Granlatte and 20% processed at farm since 2006 to produce raw milk cheese labelled with “Alla Vaccheria” trade mark mostly sold at the farm store. 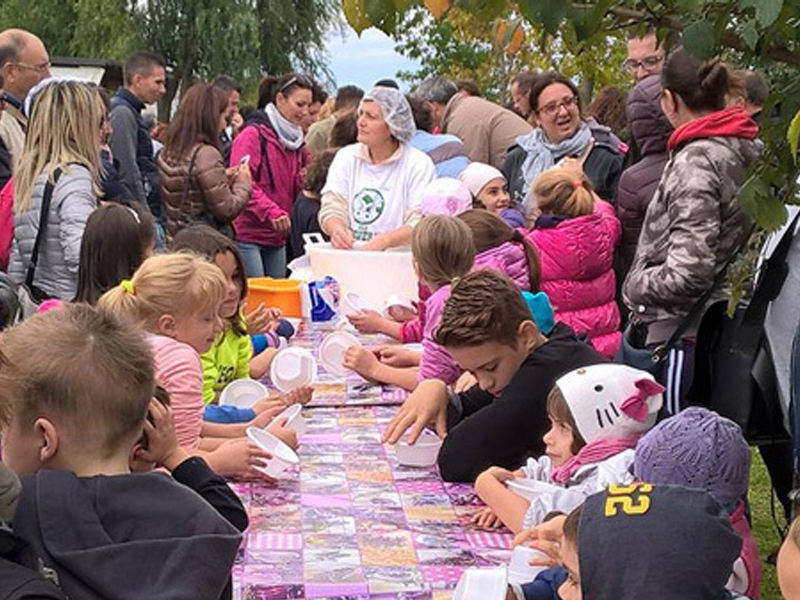 Successful school farm with around 1,500 participants every year since 2002. 40 hectares rent with triennial term for pastures and cultivation of corn, alfalfa, wheat, barley and soy. Also produced at farm fresh icecream. Vineyard 2 hectares explanted because not rentable and time spending. Manure is used to fertilize the soil without using chemicals. The farm can not be still converted to organic agriculture as there are currently no financial resources to buy land. New sheds, haylofts, shelters and milking rooms were built up on 3,200 sqm. covered surface. The succession process was inspired by Mara, the farm leader, who pushed a lot to substitute the father together with her sister Sonia. Actually there were no other options, as no sons were born, but the choice was however challenging, since farmers were mostly male in the tradition of that area. The new farm plan was in continuity with the old farm tradition but with more professional dairy rearing focused on high quality milk and value based on a local product. The addition of cheese process to the farm supply chain aimed to enhance a local added value to the dairy production. 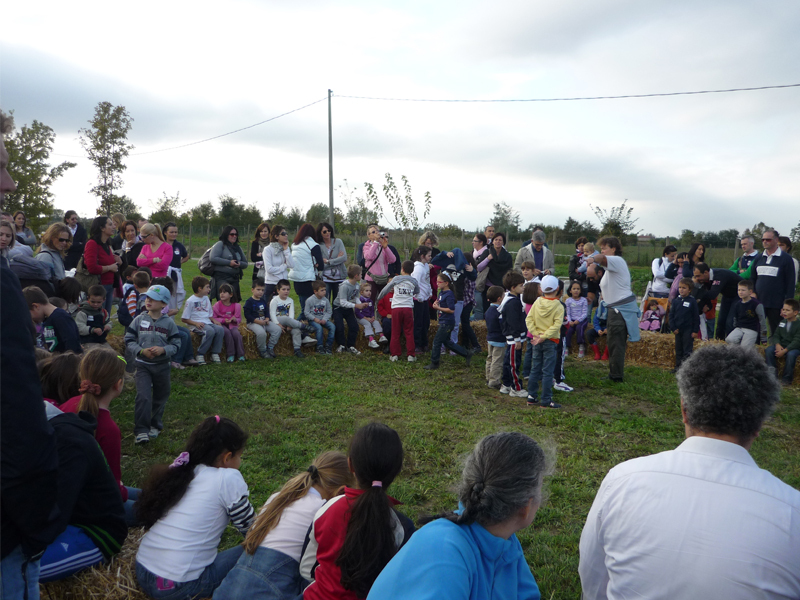 The didactic farm was a consequence of the choice for a multifunctional farm aiming at diversifying and increasing the farm activities and income. Authorization and regularization of plants. The approval of the projects and works took some more time than expected. The economic impact of the bank loans. Bank interests were heavier than foreseen. Internal family discussion to plan and share all decisions. The issues deriving of the changes and relevant engagements took a lot of time, also as a consequence of decisions to be taken from a large family with six daughters. A training based on in-depth knowledge of the Rural Development Plan is essential to take the right decisions in term of project financing. Training on farm management is fundamental for decision making, investments and adequate use of human resources. Training on innovative trends enabling to ensure more sustainable and profitable farming, also including use and management of renewable energy sources and how to manage a school farm (84 hour course). Training enabling to solve practical problems, such as bureaucratic issues. Since 1996, when Mara started to work full time at farm, after mothers’ death, the family farm has been significantly changed into a professional agricultural company with a clear mission, vision, strategy and objectives. Children, guests of the farm for some days, are the most important customers who provide their satisfaction degree and feedback on their stay at farm. It is important therefore to pay attention to customers’ reaction and understand what are expectations and needs being always careful to provide what they can recognize as distinguishable from other products and locations. From childern's satisfaction it is possible to better understand the future demand. But the main farm vision is based on production quality and safety and animal welfare. It was very important for Mara and Sonia bridge their studies and early experiences to the succession, to think on farm change, calculate needed resources and schedule time to realize the project. The collaboration from the husbands of the two sisters helped to push them all together towards this strong approach to plan a new farm strategy. The determination of the two sisters to go on has strongly involved the respective husbands to leave their occupations and be committed to the farm project renovation. This strategic approach is very important also to involve their children to be prepared to decide if they will continue the work started by their parents. 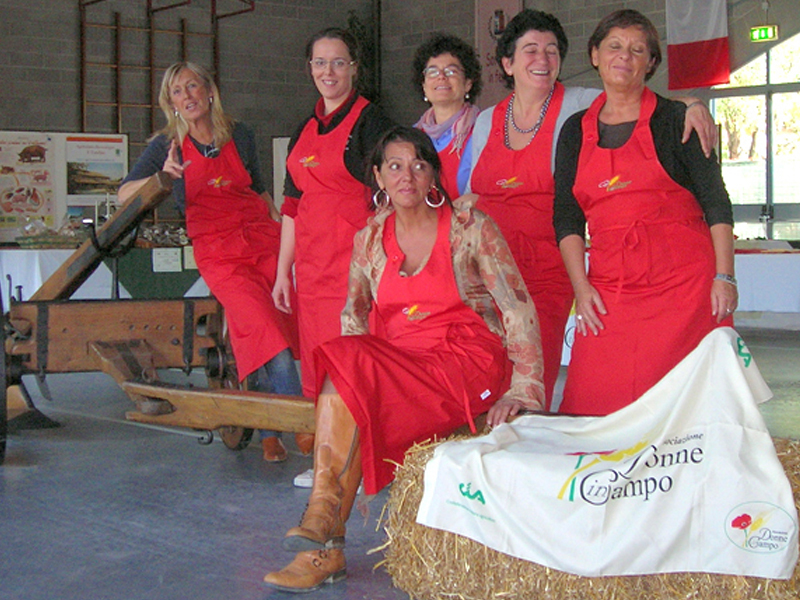 Mara is also involved as a female farmer and she brings her contribution to this peculiarity as President of the national organization “Donne in Campo”. Internal training is based on a quality system from food safety (HACCP) to milk quality and animal welfare. The milk high quality makes possible to produce raw milk cheese with original taste different from other cheese on the market. - Decision sharing is absolutely necessary when there are more persons involved and this is the most important soft skill to go on together and have a successful farm succession. - A technical preparation is also very important to support the business plan, so that the succession process can get a view on the future. - Information on all kinds of potential funding opportunities are very useful is a starting point for a successful farm succession. - Decision making on farm management is fundamental to solve potential problems during the farm succession and start a practical approach to prevention of risks and inadequacies. - Multifunctional agriculture is something new compared to traditional farming. How to reduce the generational gap and let share this new option between predecessor and successor? - How to integrate new ideas in a traditional farm without conflicts?